Do I need health insurance and is it required? 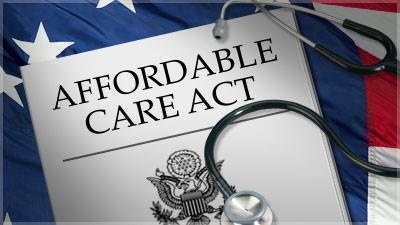 Most Americans are required to have health insurance under the Affordable Care Act. The Affordable Care Act holds insurance companies accountable for their actions. It helps lower health care costs allowing it to be more cost-efficient and beneficial for customers. It also helps low-income Americans get Medicaid coverage and eliminates pre-existing conditions as well as gender discrimination. Each year, it gets more expensive to go without insurance because of this tax penalty that increases annually. Here is a chart that compares the tax penalties between 2015 and 2016. No tax filing requirement. People whose income is below the minimum threshold for filing a tax return. The requirement to file a federal tax return depends on a consumer’s filing status, age and types and amounts of income. Consumers can use the Internal Revenue Service’s Interactive Tax Assistant (ITA) to find out if they are required to file a federal tax return. Short coverage gap. Consumers who go without coverage for less than three consecutive months during the year. Hardship. Consumers who have experienced difficult, financial or domestic circumstances that prevent them from obtaining coverage — such as homelessness, the death of a close family member, bankruptcy, substantial recent medical debt or disasters that substantially damage a person’s property. Unaffordable coverage options. Consumers who can’t afford coverage because the lowest-priced coverage available to them would cost more than 8.13 percent of their annual household income. For Covered California, the lowest-cost plan would be the lowest-cost Bronze plan available to the individual. Incarceration. Consumers who are in a jail, a prison or a similar penal institution or correctional facility after the disposition of charges (or judgment) against them. Not lawfully present. Consumers who are not U.S. citizens, U.S. nationals or lawfully present in the United States. Religious conscience. Members of a religious sect or division thereof that has been in existence at all times since Dec. 31, 1950, and is already recognized by the Social Security commissioner as conscientiously opposed to accepting any insurance benefits, including Social Security and Medicare. The Social Security Administration administers the process for recognizing these sects according to the criteria in the law. Health care sharing ministry. Members of a recognized health care sharing ministry. American Indian tribes. Members of a federally recognized American Indian tribe, or those who are eligible for services through an Indian Health Services provider. For information on what qualifies as a tax exemption and for links to the exemption applications visit www.healthcare.gov/exemptions.